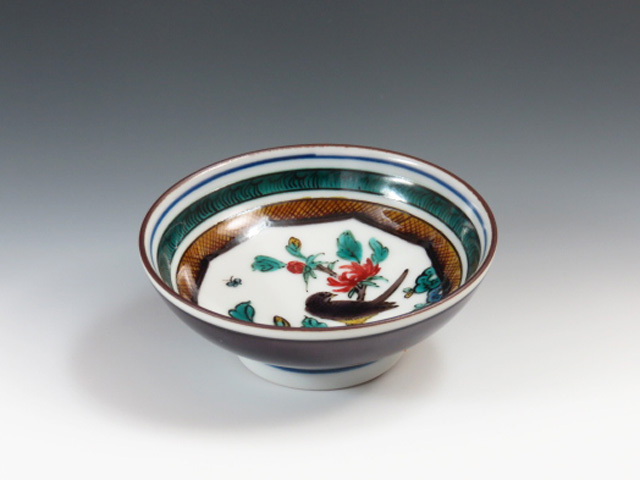 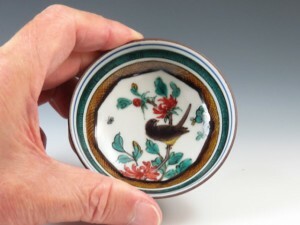 A beautiful Kutani porcelain sake cup with “Peony and Bird” design ! 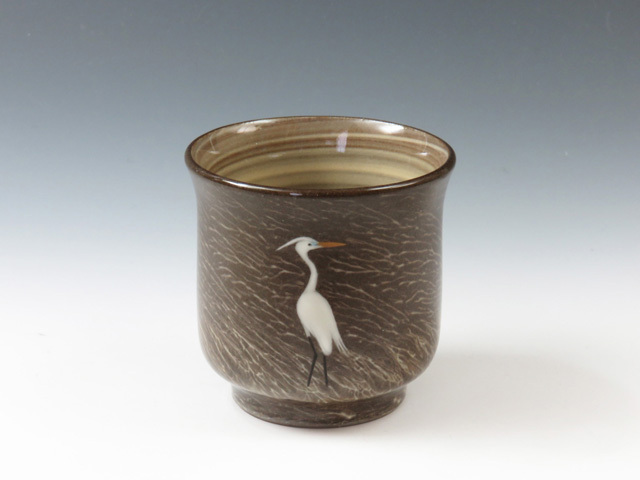 A calmly sophisticated sake cup with an impressive golden ring around the lip ! 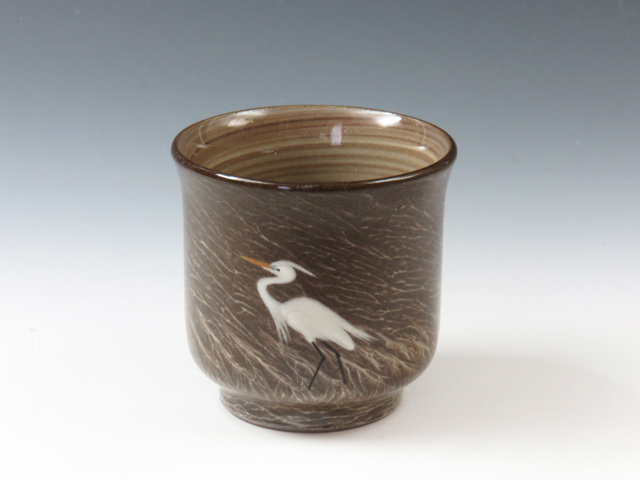 A calm sake cup with a lonely eqret facing the right and left in the field painted in brush stroke ! 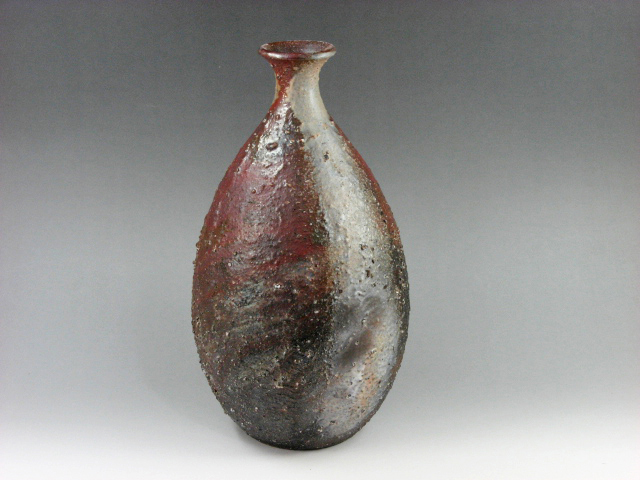 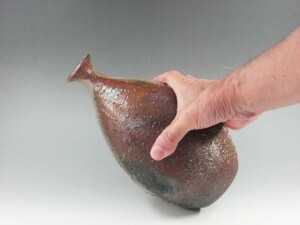 A giant “Rakyo or shallot-shaped” sake bottle applied with traditional “Akadobe or red glaze” ! 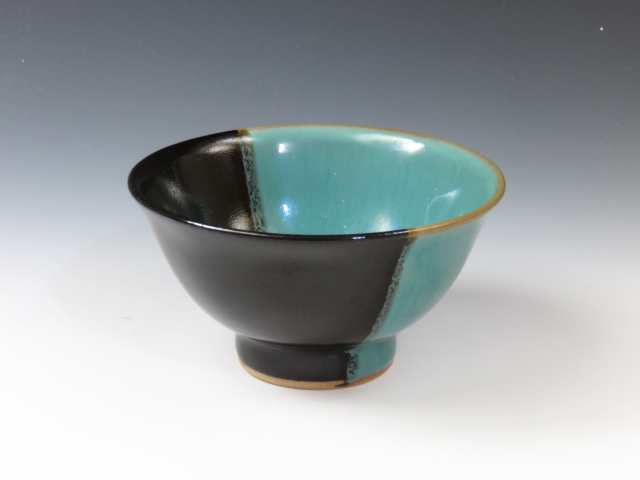 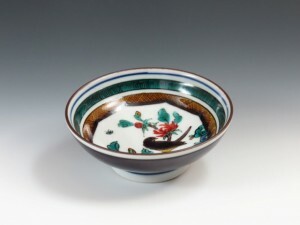 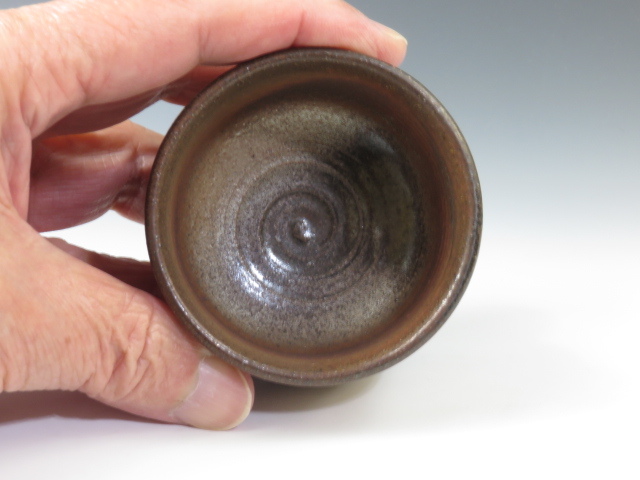 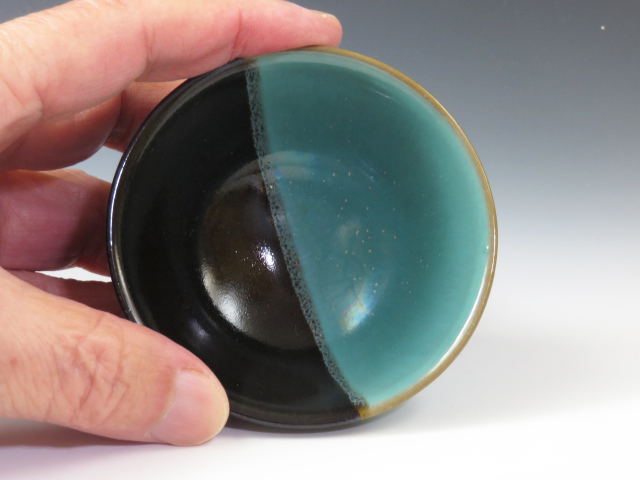 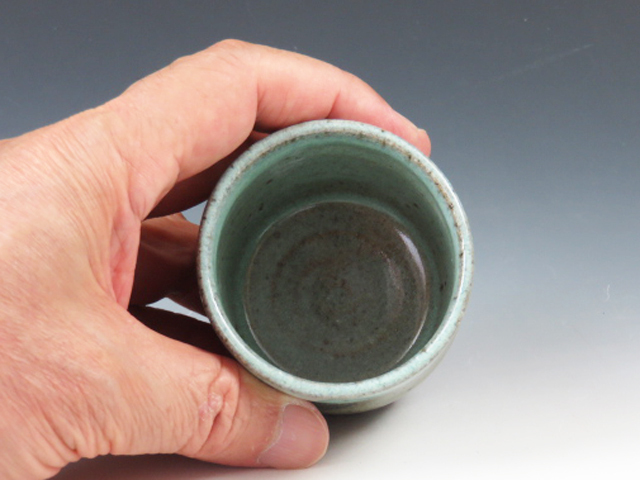 A vivid sake cup with an impressive color contrast created in black and green glazes in folkcraft style ! 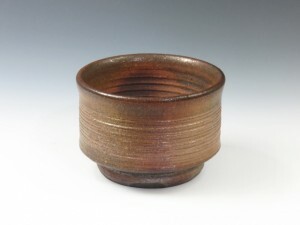 A boldly shaved sake cup with partial kiln-change in gold and in copper red ! 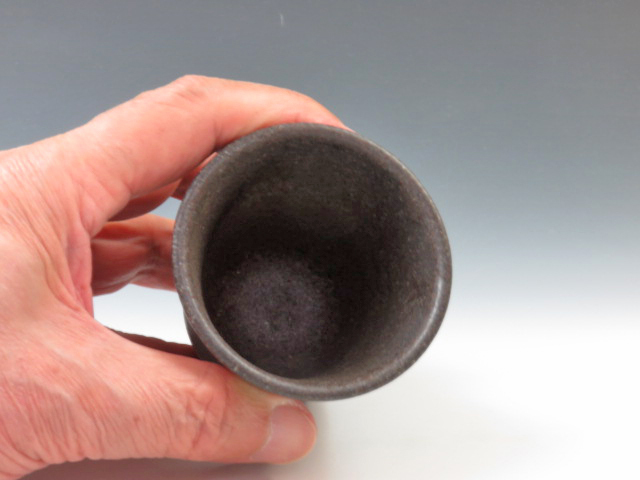 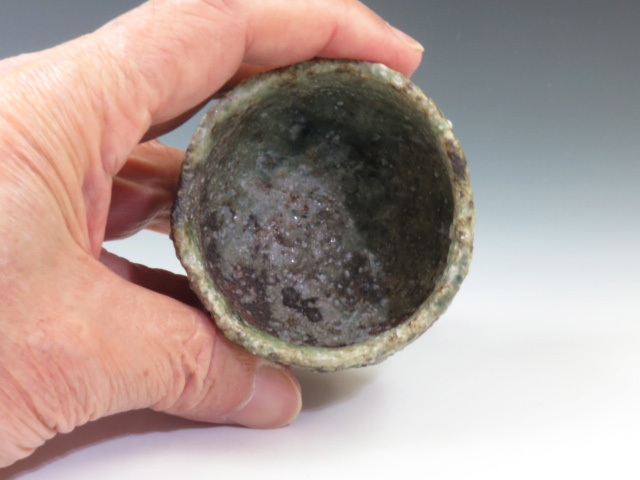 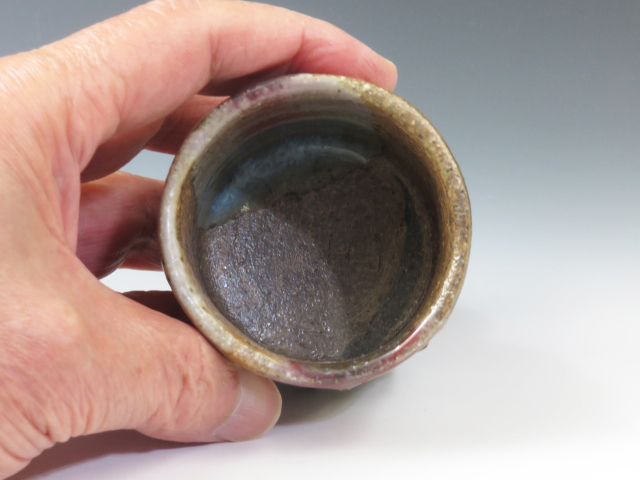 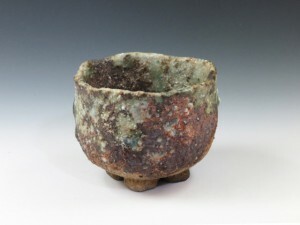 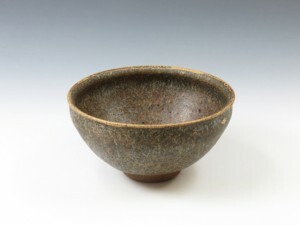 A carbonized golden sake cup with combing decoration on the body ! 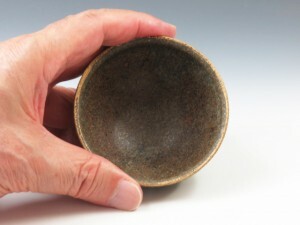 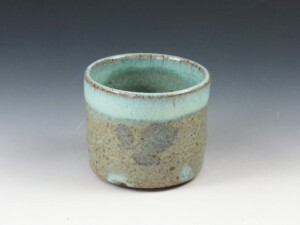 An unglazed mossy-looking sake cup with an unique cross-cut foot ! 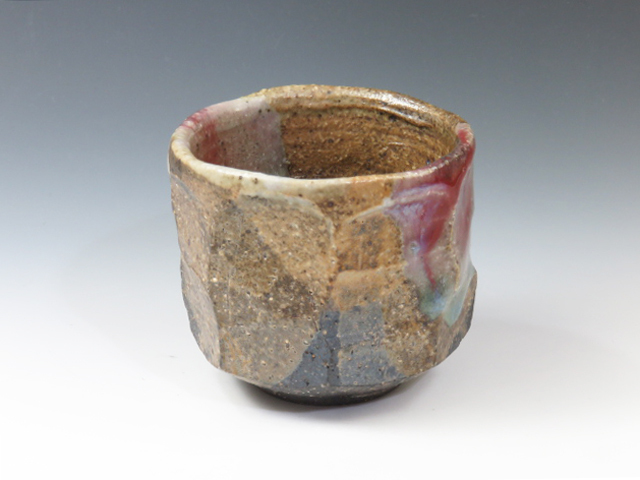 An unglazed cylinder type sake cup with ta beautiful kiln change ! 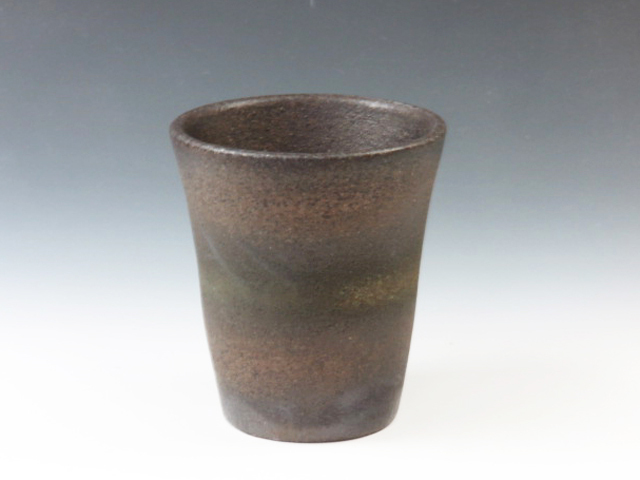 A “Hyoketsu-Mon” (or floating ice pattern) sake cup with a harsh kiln change !